Accelerated Information Management LLC is a woman, minority and veteran owned small business specializing in IT services for federal and commercial clients. AIM was founded in November 2006 by Doris Klink and Harold Klink. They were joined in 2008 by Craig Tanner. 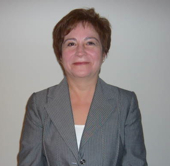 Mrs. Klink is an accomplished, licensed and registered healthcare professional with over 20 years experience. Her service oriented management style comes from an effective career in the complex medical surgical field where she was recognized as an outstanding contributor in support of the INOVA Hospital System. She brings to Accelerated Information Management LLC effective leadership in resolving complex management problems. Doris comes from a family legacy of entrepreneurial spirit and as CEO is keenly engaged in the developing and maintaining of our core values. She is the key contact and primary executive responsible for customer satisfaction. She maintains key corporate relationships with clients, partners, and the US Small Business Administration. 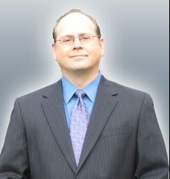 Mr. Klink is a growth oriented executive specializing in the federal information technology market with over 28 years leading operations, business development, sales and marketing. He is a recognized leader in federal IT procurement serving in elected and appointed capacities in key industry associations including IAC, AFFIRM, GEIA, and AFCEA. He has delivered major program wins totaling in excess of $1B in Prime contracts. Mr. Klink served in the following noteworthy positions prior to founding Accelerated Information Management; Sr.Vice President SiloSmashers Inc.(2007-2008), Executive Vice President Kforce Government Solutions (2004-2006), Sr. Vice President Business Development of SI International (1999-2004) and Vice President Business Development CACI Inc. (1994-1999). He is a graduate of George Mason University where he received a Bachelor of Science in Physics. Mr. Tanner is a leading innovator of information management and enterprise architecture solutions. He has over 19 years of experience in enterprise data management, 15 years specializing in integration of data management with enterprise architectures. Mr. Tanner has provided services directly to the CIO’s office of agencies such as the U.S. Department of the Interior, U.S. Department of Defense, U.S. Department of Justice, U.S. Army Corps of Engineers, and U.S. Department of Homeland Security. He has specialized in developing enterprise data management solutions, policies, procedures, and has conducted numerous data analysis sessions. Mr. Tanner has served as lead enterprise architect at agencies such as the U.S. Army National Guard where he has designed and implemented a total enterprise architecture solution using a blended combination of the DoD Architecture Framework (DoDAF) and Federal Enterprise Architecture (FEA) framework. Mr. Tanner is an active participant in the DoDAF 2.0 committee to redesign the architecture framework for DoD. Mr. Tanner continues to spearhead total lifecycle innovation through the fusion of enterprise architecture with mission performance. By integrating enterprise architecture with IT Capital Planning and Investment Management, his solution-oriented process integration is linking architecture and information directly to mission performance. This is helping several Federal agencies recognize and understand the trends that help predict future challenges and opportunities. Mr. Tanner is in the process of finalizing his Masters degree in Strategic Foresight at the School of Global Leadership and Entrepreneurship at Regent University.